Last year we discussed the changes being made to the federal bankruptcy forms, designed to make the paperwork much easier to understand. The changes officially went into effect on December 1st but there may still be some lingering questions about why they were changed in the first place or how they may affect the filing of a case. Let’s shed some light. 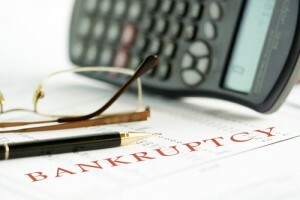 Changes to the bankruptcy forms were being discussed as far back as 2008 and came about after a decade of no updates or changes to the forms. The economic environment has rapidly changed within the past ten years which required making much needed changes to ensure fairer rulings. The new forms have been radically changed and are intended to be much easier to understand with improved readability and visual cues designed to highlight key sentences or bold some of the more important parts. The legal jargon has also been changed to make the forms more conversational and accessible to readers beyond just bankruptcy attorneys. Filers should be aware that the grace period in using the new forms has since ended. Though filers can still complete and file the old forms without a court clerk's rejection, a judge may choose to reject the filing because of the improper forms and will require a resubmission using the new forms.